It's the news that all digital and social media marketing agencies have been waiting for - Snapchat advertising via sponsored Geo Filters are now available in Dubai and Abu Dhabi! That's right, Snapchat (or Snap as they are now known) Geo Filters are now available in Dubai and Abu Dhabi, or more importantly the paid version is. Until now, users of Snapchat were only allowed to submit Community Filters, which you may have seen in different locations within the UAE. Now, we have access to the on Demand Geo Filters, which offers an ideal location marketing channel for brands and businesses looking for increased visibility within specific locations throughout the UAE. While this may seem like a small announcement, I personally think it could lead onto bigger things. Snap usage has continued to grow in this part of the world especially and is popular with the local population in Gulf Countries. If we consider previous growth trends experienced by platforms such as Twitter and Instagram and consider that the local community are traditionally early adopters we anticipate more users heading over to Snap as more brands promote and market their businesses on the platform. 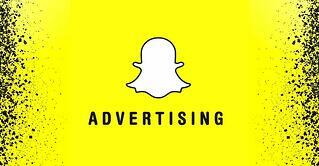 Snapchat Advertising for Businesses in Dubai and Abu Dhabi: What are the options? While some brands and business have already embraced Snap and the fun creative way they can share their own content on the platform many haven’t and I'm guessing one of the reasons is because there hasn’t been a ‘pay for play’ option that allows brand reach and visibility to targeted audiences. The on-demand Geo Filters are those first advertising opportunities for brands and businesses in the UAE (and can also be created by individuals!). Yes, that's right. If you want to you can create your own Geo Filter for your next big BBQ you now can (note to my friends, watch this space!). The real benefit of Geo Filters is letting regular Snap users create their own content whilst associating their content with you, your brand, your business or your event. The Geo Filter works by selecting a particular geographic area and giving the users an option to use that filter in that particular area, meaning it can be hyper local, community driven like DIFC or specifically LPM for example. How much does Snapchat Advertising Cost in Dubai or Abu Dhabi? Prices can be as low as $5 based on the lowest criteria meaning that the more specific your campaign is, the more cost effective it will be. Prices can however increase quite rapidly with wider geographies and longer time periods, so it's important that the criteria you select is exactly right for your business. There are some basic online templates to create filters but its recommended to go for a more professional design. The only potential downside to this approach is that your design will require approval from Snap admins before publishing live. In our experience, this process is quite fast though and an experienced publisher can help you through this process without pain. We can help! If you would like to create a on-demand Geo Filter or you would just like to know more, please contact us by completing the form on this page.